This is a regular question. 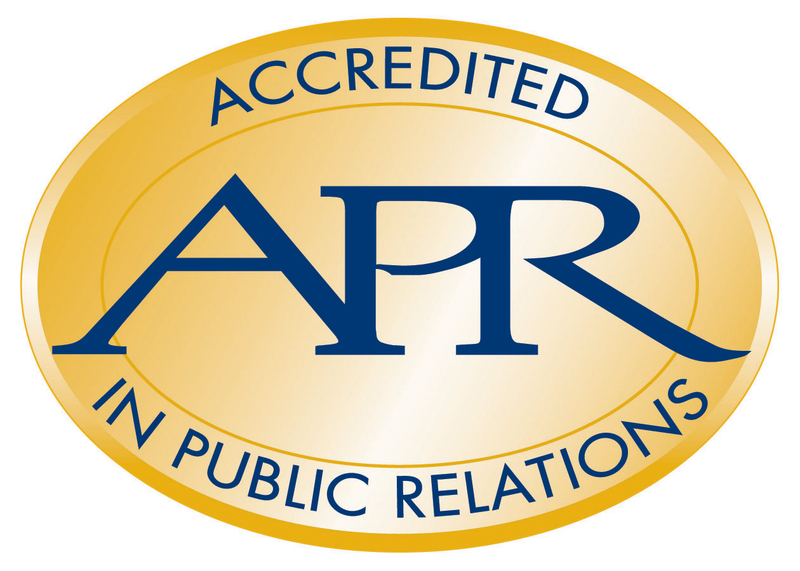 APR stands for Accreditation in Public Relations. 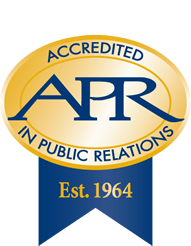 While there is no required certification or licensing for one to have a “Public Relations” or “PR” in their title or listed among their litany of services – the APR distinction indicates a level of experience, understanding and accomplishment in the encompassing practice of public relations. Education: The process of earning the APR often introduces seasoned professionals to pieces of strategic public relations of which they may not have perviously been familiar. Areas of focus are broad and relevant: research methodologies, strategic planning, business acumen, management, ethics, communication models and theories, and the history of public relations. Credibility: It doesn’t hurt to have that instant dose of cred when meeting an industry colleague for the first time, in or out of market. Or outside the industry. Many don’t know the PR practice offers official accreditation (or much about the PR practice in general). Fellow professionals can have some assurance that the PR practitioner they’re speaking with has successfully completed some in-depth stuff and continues to keep up with the industry to maintain the accreditation. Relationships: Like any other class-like experience it’s not uncommon for strong relationships to bud among APR course-mates. Additionally, as mentioned and a reason for this post: The question comes up often and is an easy conversation-starter – take the opportunity to share cool parts about your work and your profession. Are all APR people the best ever? Of course not. If someone doesn’t have it, are they inherently not as good? Of course not. Just if you’ve got a PR question or need and aren’t sure where to start, it’s one thing worth considering. For more information about the Accreditation in Public Relations, check out PRSA. Or Wikipedia. Or ask around – the process and the distinction means different things to different people. Jesse Landis, APR, has a decade-plus experience in public relations, advertising, and strategic planning for a range of industries and clients. He has served in several leadership positions with several Tampa Bay area communications agencies and organizations.